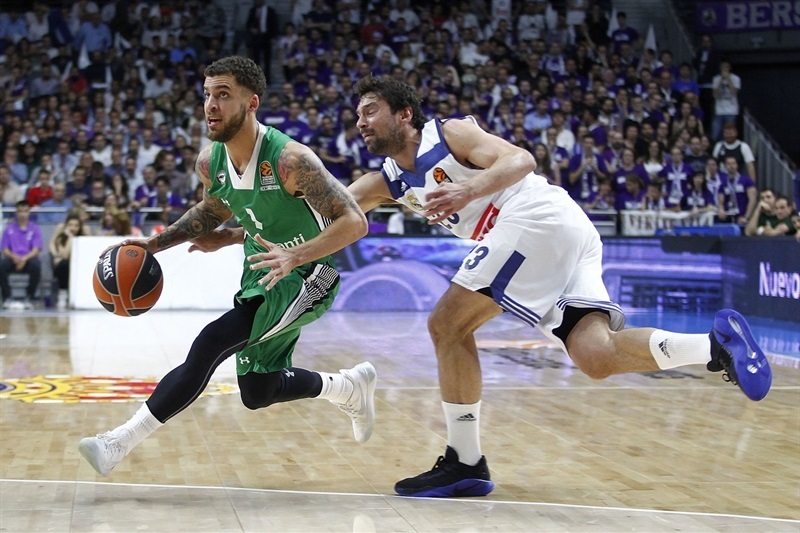 Real Madrid took a first step forwards in the Turkish Airlines EuroLeague Playoffs by downing Darussafaka Dogus Istanbul 83-75 in the Spanish capital on Wednesday. Madrid recorded its 14th consecutive home win in the competition, has a 1-0 lead in its best-of-five series and hosts Game 2 on Friday. 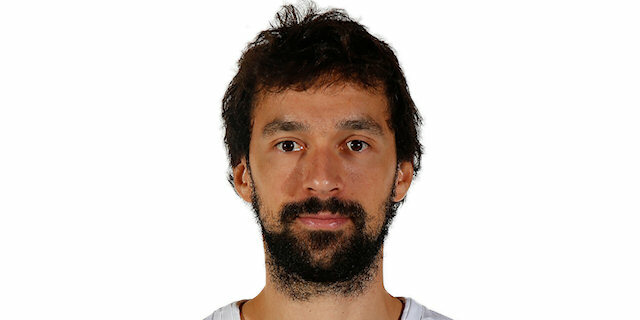 Sergio Llull led the winners with 23 points and 6 assists. 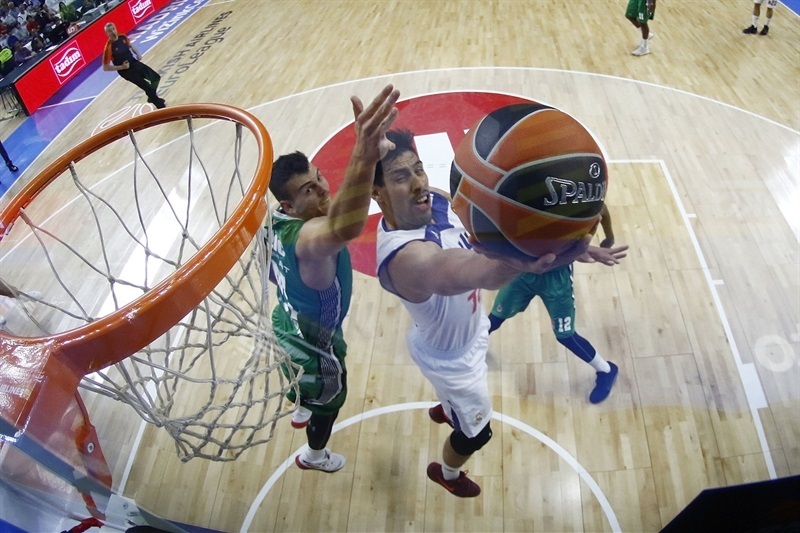 Gustavo Ayon added 14 points while Anthony Randolph posted 9 points, 7 rebounds, 3 assists and 3 blocks for Los Blancos. 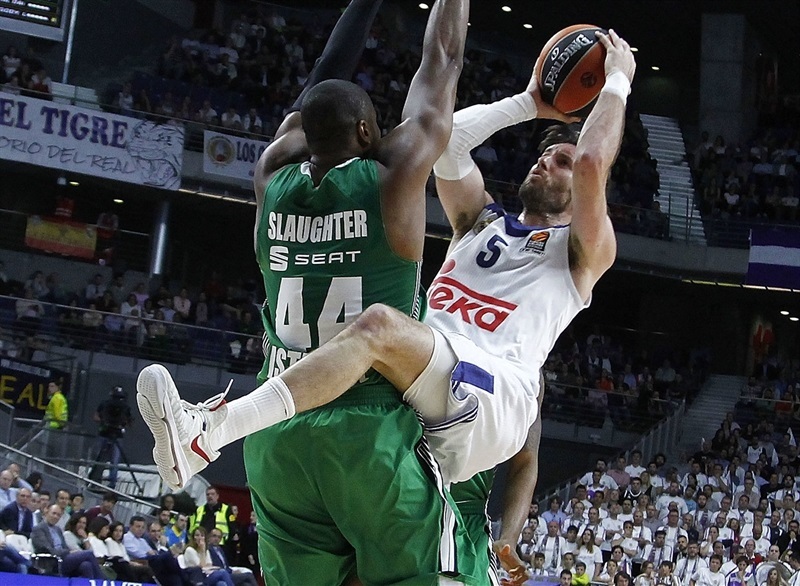 Brad Wanamaker led Darussafaka with 21 points, Will Clyburn added 15 and Luke Harangody had 11 for the visitors. 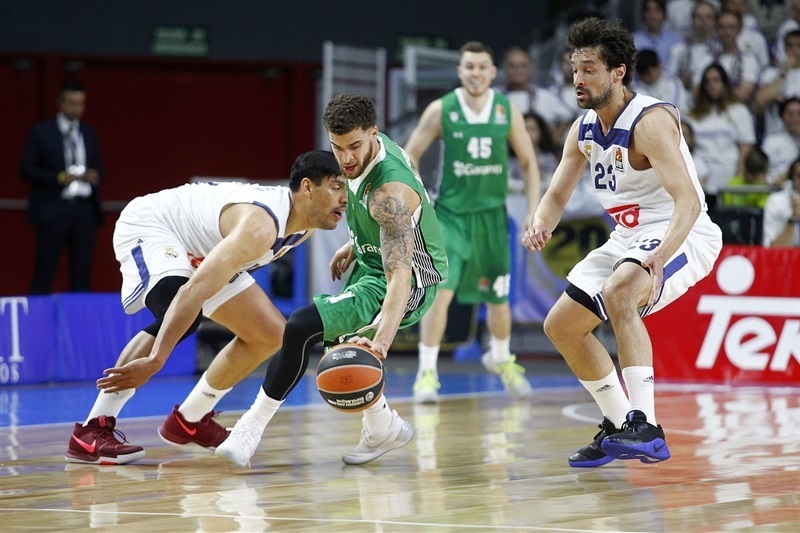 Darussafaka outrebounded Madrid by 12-16 in the first half and limited the hosts to just 10-of-23 two-point shots (43.5%) in taking a 12-point lead, though a red-hot Llull cut the deficit to 36-37 at halftime. 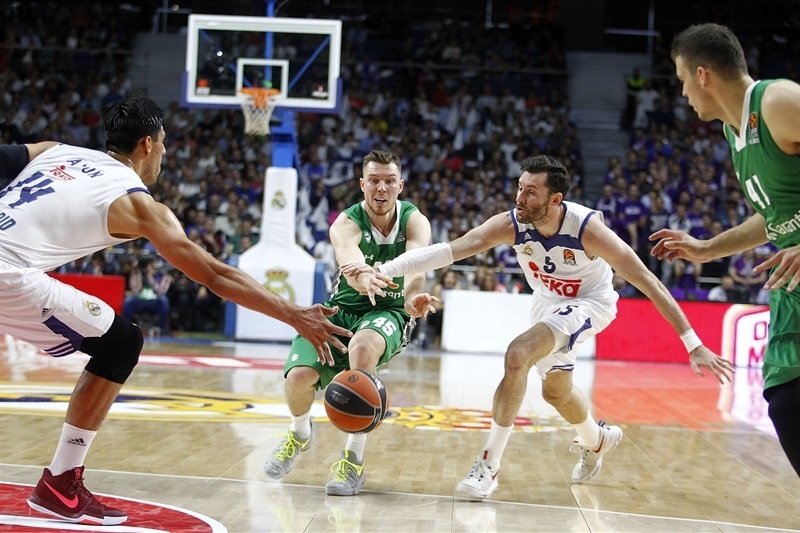 Madrid improved under the boards in the second half and ended up outrebounding its opponents 28-25 and committing 5 fewer turnovers (9-14) than Darussafaka. Clyburn got Darussafaka going with a turnaround jumper and Harangody added a three-pointer for a 1-5 lead. 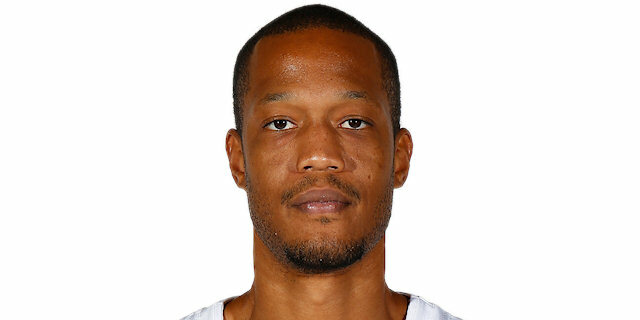 Jonas Maciulis and Llull rescued Madrid and a dunk by Jeffery Taylor gave the hosts their first lead, 8-7. Wanamaker followed a triple with free throws but Ayon singlehandedly tied it for Madrid, 14-14. 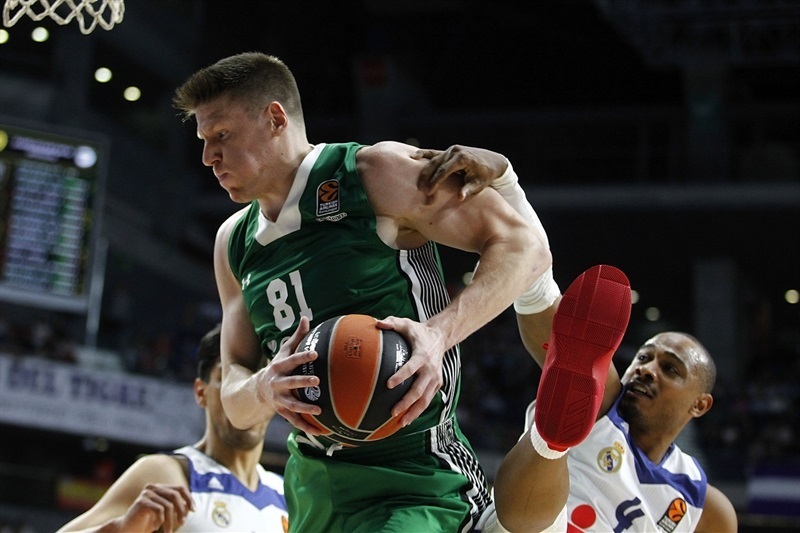 Harangody and Dairis Bertans stepped up for Darussafaka, combining for 8 quick points that gave their team a 16-24 lead after 10 minutes. Back-to-back baskets by James Anderson capped a 0-9 run and made it a double-digit game, 16-28, early in the second quarter. 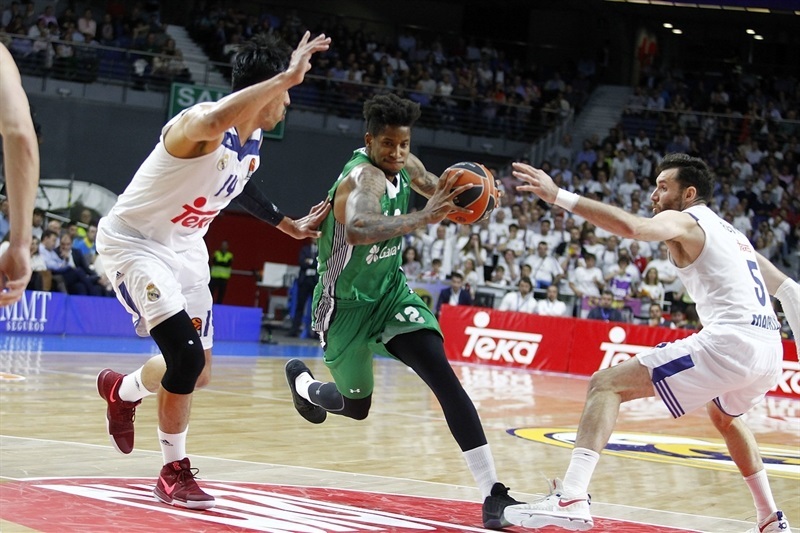 Luka Doncic scored down low and Trey Thompkins hit a three-pointer, but Clyburn and Wanamaker kept Darussafaka way ahead, 23-33. 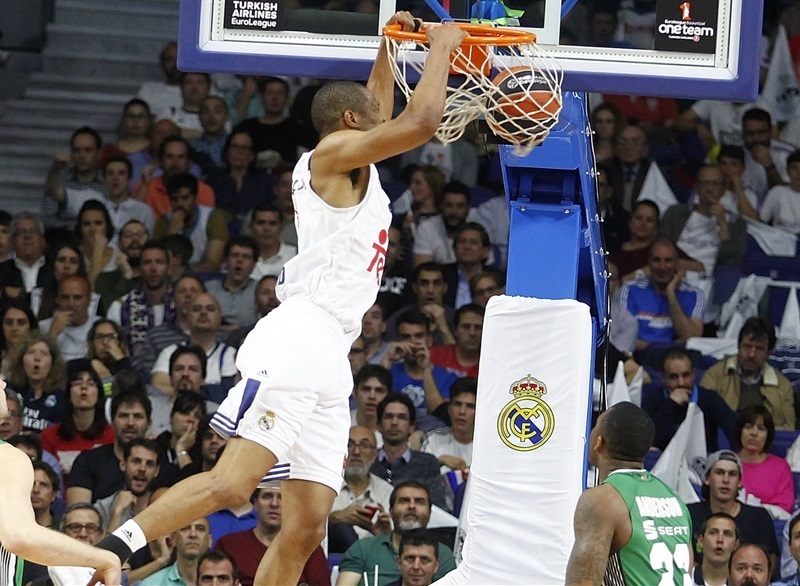 Othello Hunter scored twice around the basket and Llull added consecutive three-pointers to bring Madrid within 36-37 at the break. 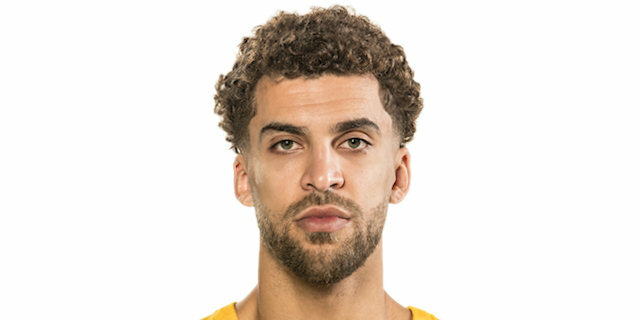 Scottie Wilbekin fired one in from downtown right after halftime, but Dontaye Draper and Llull each hit a triple in a 10-1 run, in which Ayon scored twice in the paint for a 46-41 Madrid lead. 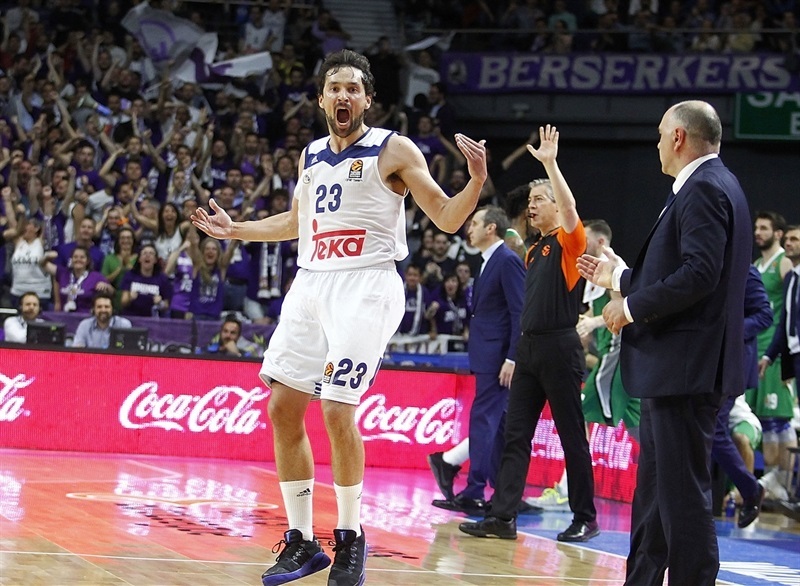 Clyburn and Wanamaker kept pacing Darussafaka, but Llull and an unstoppable Ayon kept Madrid in charge, 54-48. Rudy Fernandez hit a jumper and Randolph followed free throws with a wild three-point play to boost Madrid's margin to 61-53 after 30 minutes. Wilbekin countered with a triple and a floater, but a jumper by Thompkins and an alley-oop slam by Randolph restored a 65-58 Madrid lead. 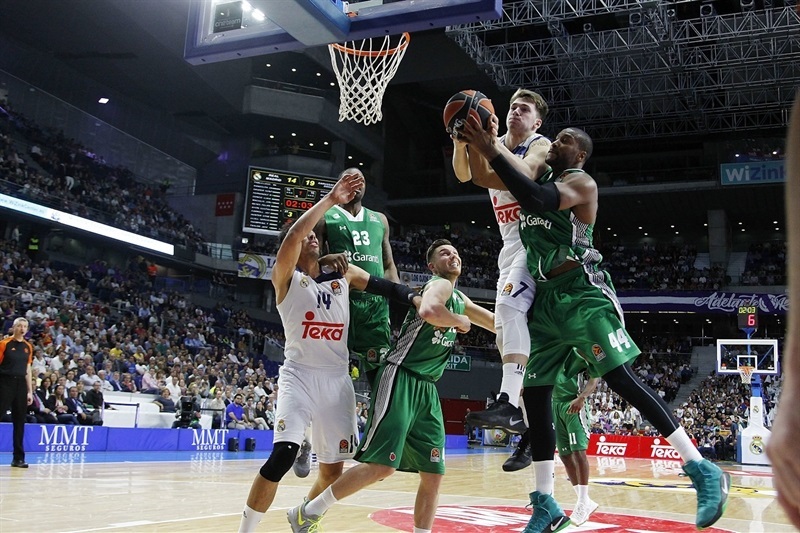 Jaycee Carroll took over with a couple of critical three-pointers and Hunter soon gave Madrid a 74-60 margin. 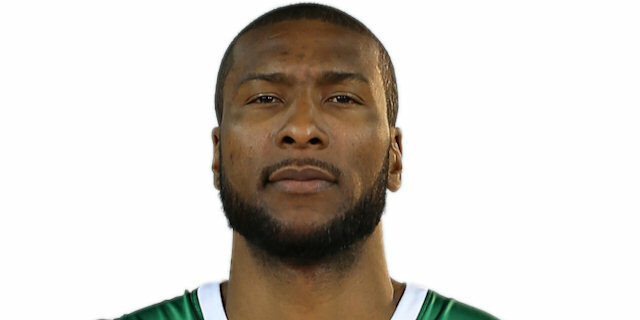 Darussafaka was not done, however, as Clyburn and Anderson stepped up for the visitors and Wanamaker followed a jumper with a wild three-point play to get within 78-75 with 1:06 left. 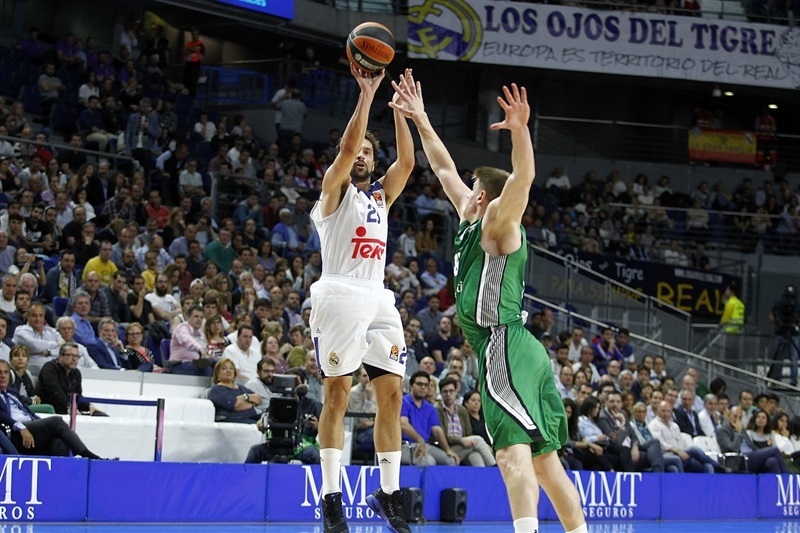 Llull split free throws and sank a jumper that sealed the outcome, 81-75, down the stretch. "This is playoff time. Let’s put it this way, we know it’s going to be difficult. They try to stop the game, they move the ball, they play with open players, one-on-one, so we knew how difficult it was going to be, but I think we got the energy back at the end of the first half and Draper gave us a lot at the beginning of the third quarter and Anthony gave us that little advantage that we managed to hold in the end… Game 1 is always important if you win it. Right now, we have to forget about this and be aware that we have a good opportunity to go up 2-0. 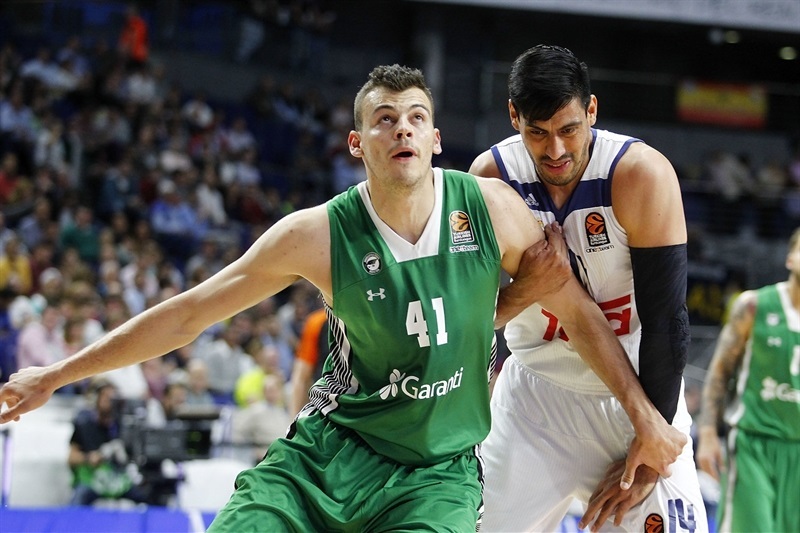 We saw what Darussafaka is: a really tough, difficult team. I hope we can do an even better job, because I am sure they will force us to do so." "Congratulations to Real Madrid. It was a very hard-fought and good playoff game. I think we did the things that we wanted to do in the game, but we missed a few plays and a few moments that ultimately costs us the game. You cannot afford to do that against a team as strong and as experienced and as talented as Real Madrid. Certainly, we showed we have the ability to compete and we need to just put this game behind us and look forward to the game two days from now. Their experience was a factor, no question, and we are not going to grow up by two, three or four years in the next two days. On the other hand, we can learn from a few things and hopefully play a little bit better, a little but smarter at the right moments of the game. I will say this, in a playoff like this, and I have been through it more than one time, as you know, the previous game doesn't really have a lot to do with the next game. So, whether that is going to be a factor in the next game or not, only time will tell. It would be nice if we could grow up a few years in 48 hours, but I don't think that is going to happen. The main thing that we did in the first quarter was that we scored the ball. And when you score the ball, the likelihood of a fast break by the other team is much less. It is harder to run when you are taking the ball out of the net than when you are rebounding it or stealing it, or your team is taking bad shots. We didn't do that in the first quarter; we played well, right, smart, really for the first 18 minutes or so. 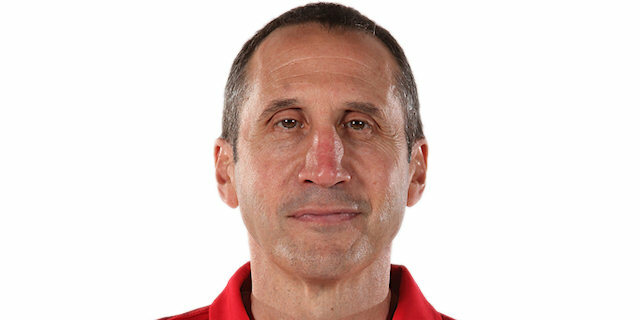 They are a great team at punishing you for your mistakes, a great team of momentum and runs after good defenses and rebounds. They are a championship-caliber team and we have to play close to perfect to beat them." "It was important to win this first game, which is always the most dangerous one, especially when you have the home-court advantage. We managed to win it, again with the help of our fans, who were unbelievable. We are happy and already thinking about the next game on Friday. We know it is going to be a tough series. I am sure Darussafaka kept something new for Friday. They are tough on defense, very athletic, with a lot of defensive traps. We have to be physically and mentally ready to play against that. They never give up and always play at their rhythm. Even if you lead by 10, they can come back without you even noticing. It is important to keep that information in your head to play hard for 40 minutes. We didn't play an excellent game. We played well enough to win, but I am sure Darussafaka will make us play better on Friday - move the ball, rebound, limit turnovers and do what you need to do to win a basketball game, especially in the playoffs." "This is big getting the first win against a tough team like this. We made a lot of mistakes and they put us on our heels a lot, they made a lot of good shots, but we got the win and that is the most important thing. And we have to try to win this next one at home. We have to come out and play much harder in the first quarter. I take that upon myself, I came out a little sluggish. If we do that, we’ll be alright and we should get the next win. " "I’m happy to be back after four months. It was definitely a tough game against the number one seed in the EuroLeague playoffs. We fought during the whole game as a team. It was a close game. But we made some easy mistakes down the stretch just like that rebound when we forgot to box them out. Those mistakes cost us the game." "We came out quite strong and led by as many as  points. But then there were too many lapses in our defense, especially in pick-and-roll coverage. You cannot afford making such easy mistakes. We had a chance to win this game. But at the end of the game we made a few bad plays. I’m still confident that we’ll play better in the second game."